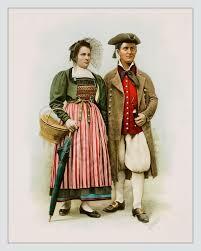 Although skirts were worn both by men and women from many cultures, they are mostly worn by women and became a symbol of femininity. The oldest skirt discovered dates back to 3900 BC and it is a straw-woven skirt, founded in Armenia. Speaking about the 19th century, the cut of women’s dresses varied the most in the western culture, more than in any other century. The waistline, initially just below the bust, started to descend to the natural waist, while the skirt increased from narrow to the hoopskirt and crinoline-supported style in the 1860, but soon this fullness was draped back. Starting with 1915, the hemline for the daytime dresses left the floor and never came back as for the next 50 years dresses changed dramatically from short in the 1920’s, to long in the 1930’s, then short again due to the fabric restrictions in the War Years (1940), but soon after, in the 1947, they turned long again, while in the 1967-1970, skirts became shortest of all, barely avoiding exposure of underwear. From 1970, women started wearing pants even in formal occasions and the length of the skirt didn’t matter as much as before because no skirt length was able to dominate too long the catwalks and fashion magazines. The 1970’s were a point of reference for maxi skirts as we know today. Since then, they developed and improved constantly and I bet they will continue to be fashionable many more years further as they are so comfortable and elegant. Summer is a celebration of dresses and skirts which look best this time of the year due to their bright colors, original combinations and light fabrics. – prints attract attention to the area where they are used so you can take advantage of this by emphasizing the parts of your body you like and covering the parts you don’t enjoy that much. For example, if you are not very proud of your hips, use the prints on your top, to move the attention to that part of your body. 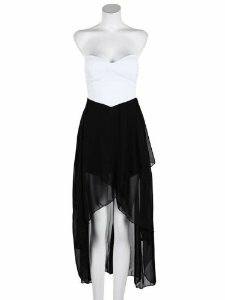 Maxi skirts accessorized properly can show the best of any silhouette. It is wrong believed that short women shouldn’t wear long skirts because, with high heels or platform sandals, you will look taller much more than wearing pants. 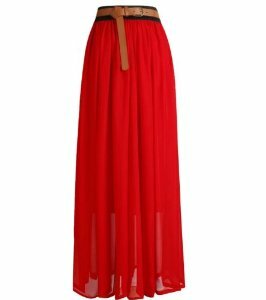 Also, with high heels, a maxi skirt will make you look slimmer, but avoid long skirts which end just above your ankle because those don’t look good on any silhouette. 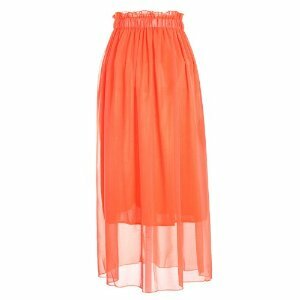 The hemline of a maxi skirt should touch either the ground or the shoes.